The Black Diamond Vector Helmet combines lightweight protection, excellent ventilation and 'barely there' comfort that's ideal for long routes, alpine climbs and other weight-sensitive missions. The geometric, co-molded EPS foam and polycarbonate shell of the Black Diamond Vector Helmet provides full-coverage protection while remaining incredibly lightweight and comfortable, and the generous ventilation ports keep air flowing on warm days. The ratcheting suspension tucks away for easy storage, and when the sun gets down before you do, the Vector's in-mold headlamp clips provide an ultra-secure attachment. EN: It fits very well and you forget that you're wearing it. Very light, I recommend it. ES: Se ajusta muy bien y te olvidas de que lo llevas puesto. Muy ligero, lo recomiendo. So... a while ago I was given the chance to try the vapour whilst watching Yuji Hirayama climb the Big Issue (sorry I cant remember the guy who was taking the pictures who let me try his vapour on but if he is sponsored, he was promoting the BD brand well and should be sponsored more ;o) ). The vector's combination of light and in my mind robust design really caught my eye. The design appears to have the low reaching back, ventilation and (more importantly) a funky orange colour! 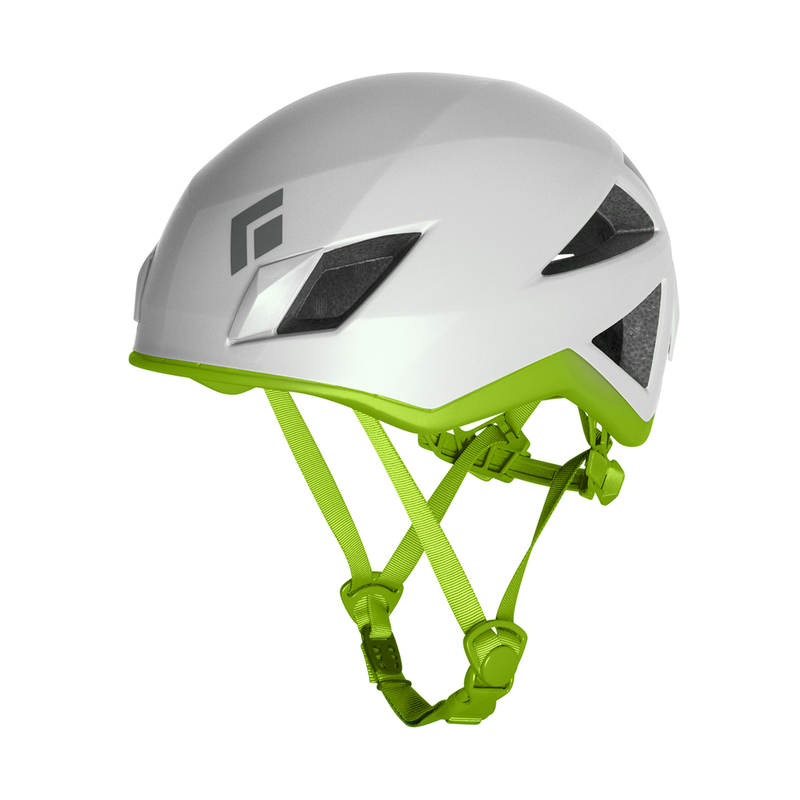 On the next Pembroke trip my climbing partner (who also tried the vapour helmet turned up with a shiney new Vector. His opinion... fantastic. Although I have been reluctant to buy light weight helmets since a (relatively small in my mind) chunk of ice split a previous one in Norway) I did buy a vector. After a little bit of faff with the harnessing system (probably not the best for use with numerous clients) the helmet fits snugly and is fantastically light. At half the price of the vapour I could also defend buying it. I haven't been disappointed since although I would say that it does need a adjustment if you have a flat head (and you lack the padding of hair) like myself.